We have been informed that due to a communication error, certain areas did not receive the call for applications. The SASDB has therefore decided to reopen applications for one week to ensure the selection process is as fair and inclusive as possible. Please make sure that this call is distributed to your members to aid us in this. The new deadline for applications is Thursday 12 September. Any applications we have already received will be considered along with any new ones after this deadline. The South African Schools Debating Board (SASDB) invites all suitable candidates to apply for the position of National Chief Adjudicator. This is a non-voting position on the National Executive Committee of the SASDB. In this position you will participate in discussions and attend meetings of the NEC of the SASDB. Serve as Chief Adjudicator at the NSDC of the year in which they are appointed. A suitable candidate will have at least two years of schools adjudication experience (including 2012), including experience in chairing adjudication panels and adjudicating break rounds. Previous experience in any organizational role, which involved allocating or training judges, or setting and evaluating motions, would be an advantage. 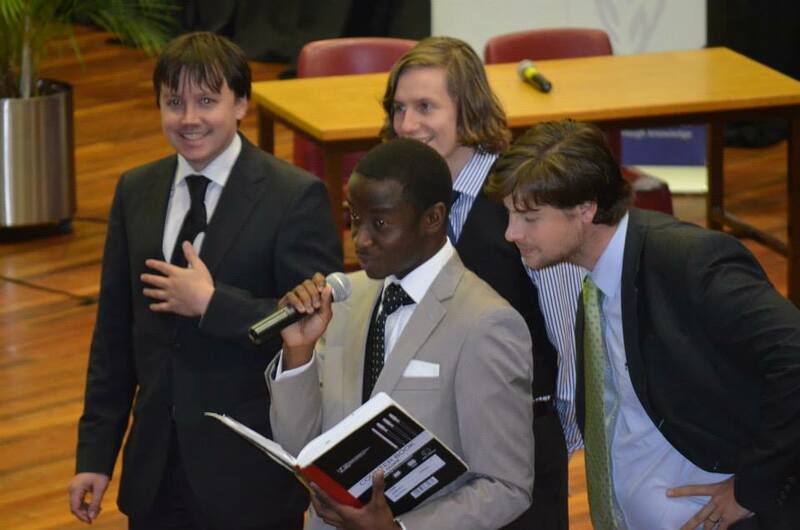 A suitable candidate will also be available to attend the National Schools Debating Championships in Johannesburg from 6-12 December 2013, and will NOT be involved with the coaching of any team attending that competition (but may be involved with the selection of a team or teams). What sort of tab system do you think should be used at the NSDC – power pairing, random draw, or pools (if so, what type of pools)? What factors should be taken into consideration when setting adjudication panels for debates at Nationals? What model of adjudicator accreditation should be used at NSDC? How do you ensure that the motions you set are evenly weighted and have enough matter on each side? Please submit applications on or before Thursday 12 September 2013. No late applications will be accepted. The SASDB reserves the right to change any elements of this procedure should it see fit. Please email all questions and applications to Samantha Dunne at sam.dunne.sasdb@gmail.com. Please forward this email to anyone else who might be interested in applying for the position.